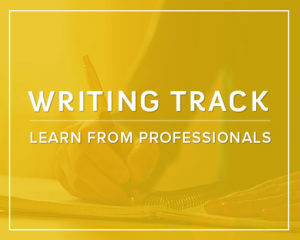 Participants in the Writers’ Track will have the opportunity for at least four face-to-face appointments with an editor, agent, established author, or other industry professional for 15-minutes. This time can be used to pitch a project idea or book proposal to a publisher rep or agent, get feedback on a manuscript in progress, brainstorm with an author mentor, or just ask questions. The professionals are experts in their field and they are at the conference because they want to help you. All of our professionals are available to you. If you are not quite ready to meet with a publishing expert, you may want to consider one of the added value appointments. 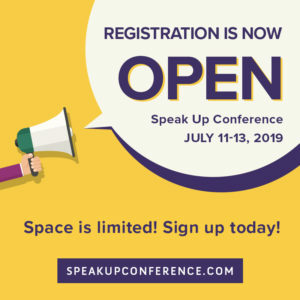 Because we continue to add to the list of experts in the months leading up to the conference, you will not choose your appointments until about one month before the conference. Near the beginning of June, you will receive an email from Bonnie asking for your top eight choices. She will work to get the very best line-up of appointments possible for you, and will email back your list about a week before the conference. Take some time to read through all of the possibilities. Baker Publishing Group publishes high-quality writings that represent historic Christianity and serve the diverse interests and concerns of evangelical readers. Baker is a leading Christian publisher in fiction, non-fiction, and academic books. Cindy Lambert is looking for nonfiction books of any genre for Revell that will inspire and equip readers offering hope and help for daily life and for Baker Books that will build up the body of Christ through messages that are relevant, intelligent, and engaging. Bold Vision Books is an independent Christian publisher looking for non-fiction and fiction with a compelling Christian message. Bold Vision offers high quality personal publishing & distribution through the nation’s best distribution companies. Bold Vision Books has two imprints: Nuts ‘n Bolts and Optasia Books. Other services offered through our coaching company, kae Creative Solutions, we also offer content analysis, book development, editing, and ghost writing. We can help you design a powerful marketing plan, write your tag line, build your brand, produce promotional items, and create your pitch. Looking for a publishing option that blends the creative control of self-publishing with a focus on quality from seasoned professionals­ or simply not sure how to navigate self-publishing? Partnership Publishing is the answer! Partnership Publishing is a fairly new model combining the positives from the pay-to-publish approach, such as greater author control, keeping 100% of your profits, and shorter production time, along with the expertise of seasoned professionals to guide you through the publishing process. Kregel Publications acquires broadly in nonfiction and fiction. Especially interested in nonfiction titles related to the #churchtoo discussion, adults with special needs, social justice, and substance abuse. Always looking for excellent historical romance, contemporary suspense, historical fiction, and women’s fiction with biblical grounding. Please no poetry or scripts. One sheets, proposals, and synopses are helpful but not necessary. 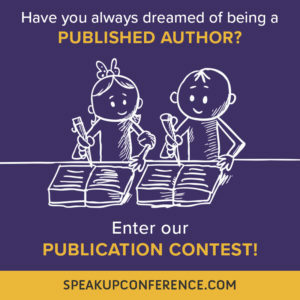 First-time authors welcome. The vision of Moody Publishers is to proclaim the gospel of Jesus Christ and a biblical worldview. Our mission is to educate and edify the Christian and to evangelize the non-Christian. Judy oversees the women’s line of books at Moody. She is looking to acquire more books and Bible studies that focus on discipling women and inspiring them to go deeper in their walk with Him. She’d love to see proposals with themes related to growing a deep prayer life and a greater love for the Word, a passion for revolutionary revival, and God redemption stories. Her target reader is typically between the ages of 30-55, but she also loves seeing proposals geared to millennials. Though Moody is still publishing some fiction, books on marriage and parenting are always welcomed. Bringing 30 years of industry expertise to an author-centric publishing model, Redemption Press is the “best of both worlds.” All the benefits of self-publishing, along with the support and representation of a traditional publisher. One thing I know. If you’re going to self-publish, the last thing you want to do is LOOK like you did it yourself. Your book should look and read at the same level of excellence as the largest traditional publishers, and available in all the same channels. We take the time to develop custom publishing and promotion strategies specifically for you and your message. No one size fits all at Redemption Press. We are a full service, turn key, custom publishing option providing as much or as little support as you need. I’d love to meet with you to see if we’re a good fit for each other! Whether publishing fiction, Christian living, self-help, marriage, family, or youth books, each Revell publication reflects relevance, integrity, and excellence. For the optimal 15-minute appointment experience, a completed book proposal and a 30-second elevator pitch to kickstart our conversation is your best bet. Let me know right away what the hook of your book idea is and who your target audience is, and let’s explore from there. I’m currently looking for adult fiction for Revell and nonfiction in the family/relationships category, humor category, and self-help/personal growth category. Please note that Revell takes very little in the autobio/memoir category and no children’s books at this time. Cindy Lambert is looking for nonfiction books of any genre for Revell that will inspire and equip readers offering hope and help for daily life, and for Baker Books that will build up the body of Christ through messages that are relevant, intelligent, and engaging. Cindy will also critique proposals and suggest ways to strengthen them. Sandi is an author whose works include Anchors of Hope: Finding Peace Amidst the Storms of Life and dozens of stories for Readers Digest and Guidepost, and numerous others. As author, conference host, and international traveler and speaker, Sandi feels honored to use pen and voice to help people find direction and renewed hope. If you have an interest in writing for children, don’t miss out on meeting with Crystal. Crystal Bowman is a bestselling, award-winning author of over 100 books for children including Our Daily Bread for Kids, The One Year Book of Devotions for Preschoolers, My Grandma and Me, and M is for Manger. Crystal would like to meet with writers who desire to write for the children’s market, ages 0-10. Manuscripts and proposals for board books, picture books, beginning readers, or kids’ devotionals are works I would enjoy reviewing and critiquing. Lorilee Craker is the author of 12 books, including the New York Times bestseller Through the Storm with Lynne Spears, the ECPA bestseller My Journey to Heaven with Marv Besteman, and the 2012 Audie Awards nominee for best audio book, Money Secrets of the Amish, which she wrote and narrated. Shannon will take one-to-one appointments with writers seeking input on the “proposal to print” process of a non-fiction book. Having just been through this process, herself, Shannon shares her fresh and current experience and perspective. Bruce is an established writer, speaker, counselor, and author of Desperate For Hope. He'll be taking one-to-one appointments with aspiring writers and speakers who want to take the next step in their ministry. He specializes in helping people find their voice, pick a lane to serve in, and love others well. He's also available if you just need a little encouragement and prayer! Sarah is an author and speaker who has been traditionally published in both fiction and non-fiction. She can answer your questions about the publication process, working with editors and agents, and marketing. As a former contest judge, she would be happy to fine-tune ideas or provide feedback on your writing. To thrive in today’s publishing world, you need the right set of skills, knowledge of how the industry is changing, and strong market awareness. Lambert Editorial can help you gain those things. My commitment with every author I work with is that I'll make sure you're a better writer at the end of the process than you were at the beginning, and that you'll become even better on every book I edit for you. And although the publishing world has changed greatly in the past decade, that doesn't worry me--the Internet and social media offer two new opportunities for every one we've lost in our constantly changing publishing world. Let's talk about where you are in your writing career and how to get from here to where you want to be. Karen is currently acquiring nonfiction only, with specific interest in Christian living and spiritual growth, as well as women’s/family and current issues. Her teammates are acquiring children’s in addition to nonfiction, but unfortunately, no fiction at this time. 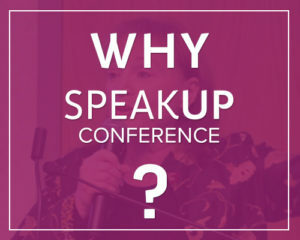 Participants in the Speakers’ Track will have the opportunity for at least two face-to-face appointments with a branding expert, platform builder, social media expert, life coach, and more. This time can be used to evaluate where you are, and where you would like to be in your ministry’s journey. If you are in Speakers’ Track, please do not request an appointment with the publishing professionals. 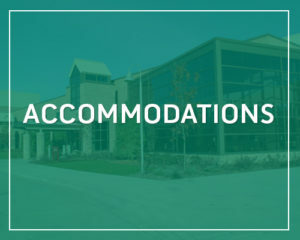 Because we continue to add to the list of experts in the months leading up to the conference, you will not choose your appointments until about one month before the conference. About a month before the conference, you will receive an email from Bonnie asking for your top four choices. She will work to get the very best line-up of two appointments possible for you, and will email back your list about a week before the conference. Take some time to read through all of the possibilities. Lucinda Secrest McDowell has been both a published writer and professional speaker her entire adult life. Her greatest joy is encouraging YOU on your journey in one or both of these areas. She loves to help discover your passion and break that big vision down into proactive steps. You have a unique story and style that -- combined with good choices and God's plan -- will touch a hurting world! Megan is accepting 15-minute appointments to discuss strategies for gospel-centered writing, teaching, and speaking. Attendees can expect to learn more about grasping and comprehending practical ways to communicate God's story of redemption through Jesus. By employing better Bible study techniques and engaging in spiritual disciplines, writers and speakers can fully invest themselves in the ultimate purpose of platform building: to engage wholly and fully in the mission and purpose of Jesus – The Great Commission. Meet with Suzanne or Shawn Kuhn to discuss ways to get an edge in promoting your brand. Explore how to find your audience and expand your platform. Learn how to increase your discoverability with the public using social media to engage and relate to your audience. You could even chat about maximizing an event to make every moment count. You have 15 minutes to pick SuzyQ’s brain. Come ready with your questions and find your edge. Connect with million-copy best-selling author Shannon Ethridge and pick her brain about how to take YOUR speaking or writing platform to the next level! 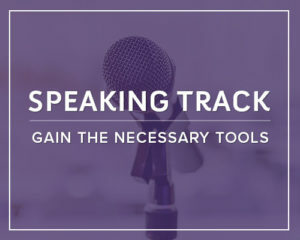 Feel free to bring your personal bio, professional headshot, logo, or one-page summary of whatever project you are working on to get her incredibly insightful feedback as a 20-year veteran of the speaking and writing industry. Anne is a Professional Certified Coach with the International Coach Federation and a faculty member for the Professional Christian Coaching Institute where she teaches interactive on-line courses. As an entrepreneur she works full-time in her life coaching business, Life Discovery Coaching in partnership with her clients cultivating transformational change and growth in their personal and professional lives. • Are you longing to fulfill a dream but feel stuck? • Are you overwhelmed with opportunities or obstacles? • Do you need to brainstorm topic ideas or promotional strategies, prayer covering or practical resources? Come experience an energizing time with Kathe Wunnenberg and leave this session with fresh hope to press on. Tanya Glanzman is a licensed professional counselor who speaks and writes as “My Father’s Daughter”. She specializes in helping others embrace core aspects of their identity as a Child of God. In your15 minute session with Tanya, you can expect to receive wisdom in the areas of: improving self-care, prioritizing your priorities, and setting firm boundaries with grace and love. All without experiencing guilt , shame or condemnation. As an author and speaker, Sarah is active on social media and loves building genuine connection with her followers. She would love to brainstorm content ideas with you for Facebook, Instagram, or Pinterest. She can also help you figure out the right posting strategy, including the schedule that works best for you. Susan will take one-to-one appointments with writers looking for tips on blogging and leveraging blog content across social media platforms. She’s a great resource for tips on blogging best practices as well as time management tricks that can make the most of the time you have available to write. If blogging or the writing process seem overwhelming, Susan can help you develop a plan to implement your ideas. • Creating your Bio with you in 12 easy steps. • Talking with you about Bible Study development. We live in a crazy online world and it's vital to have an online presence for your ministry or business. Whether you need help getting your feet wet or you feel like you are up against the Red Sea, we can help. Carol & Shawna are available to help ease your fears of tackling technology, and answer questions so you can flourish in your calling! Do you have a ministry calling or dream that involves speaking, writing, launching a non-profit or doing ministry out of the box? Are you overwhelmed and not sure quite where to start? In 2010, Jenn knew God had called her to launch a non-profit speaking and writing ministry but was not sure what steps to take. Jennifer launched 'Coming Alive Ministries', a 501 (c)3, in 2012 and would love to meet with you and cheer you on in your ministry dreams. Jenn has self-published five books and speaks at around 40 conferences and retreats a year and would love to meet with you and encourage you in your next steps in speaking, writing or starting a non-profit ministry. Jennifer also has a masters degree in Christian counseling. Feeling overwhelmed and stuck about what your next steps might be? Michelle loves working with people one on one to get them unstuck in a very short amount of time. She looks forward to brainstorming with you, encouraging you on your journey and praying for your next steps! Together, we will evaluate your existing website to discover what is working right and how it needs improvement. We'll conduct an honest yet professional observation of your site and offer solutions that are most helpful to you and your website. 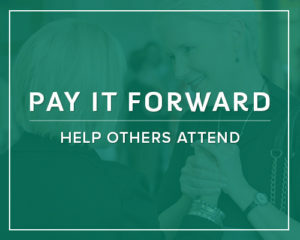 We'll make sure your site is offering everything you need to help your ministry flourish. Lee Nienhuis is an author, Bible teacher, and serves as the podcast host and National Speaking team member for Moms in Prayer International. As an international teacher and communications specialist, Lee is accepting 15-minute appointments to help speakers plan retreat packages, multi lesson talks, or help them hone standalone messages. She’s also willing to talk shop with those who would like to podcast or are in the preliminary stages of launching their podcast. It would be her pleasure to lace all of this in prayer.